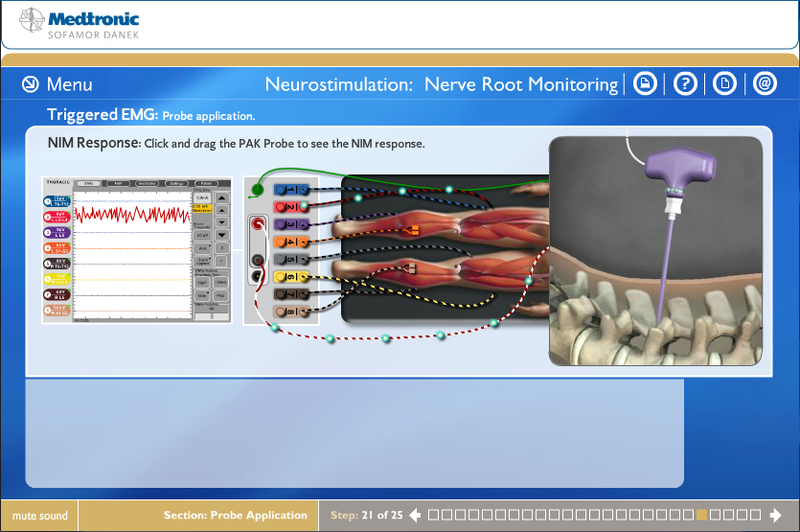 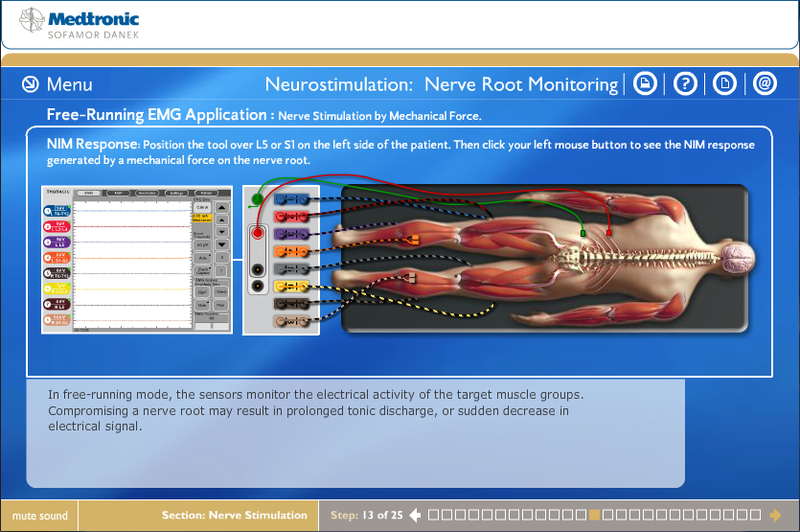 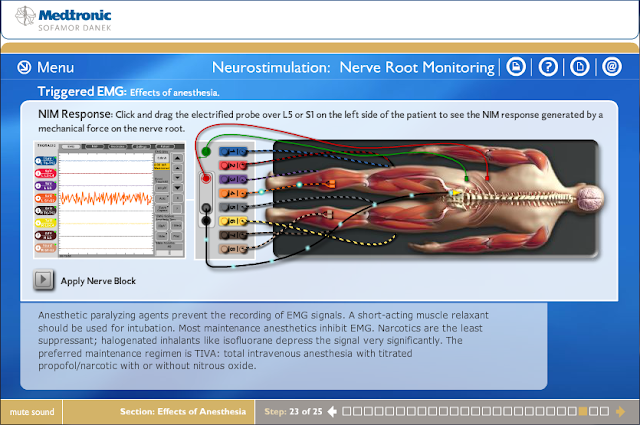 The Medtronic NIM is a nerve monitoring system. 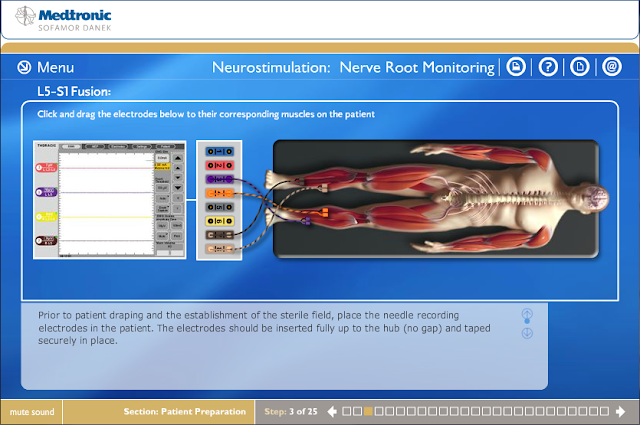 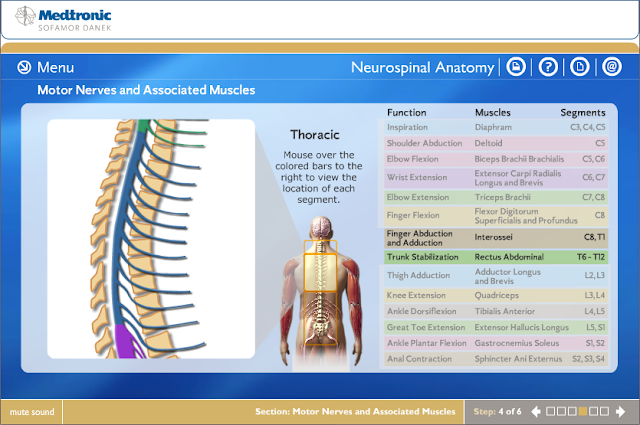 This interactive training/demo was built at Interact Medical. 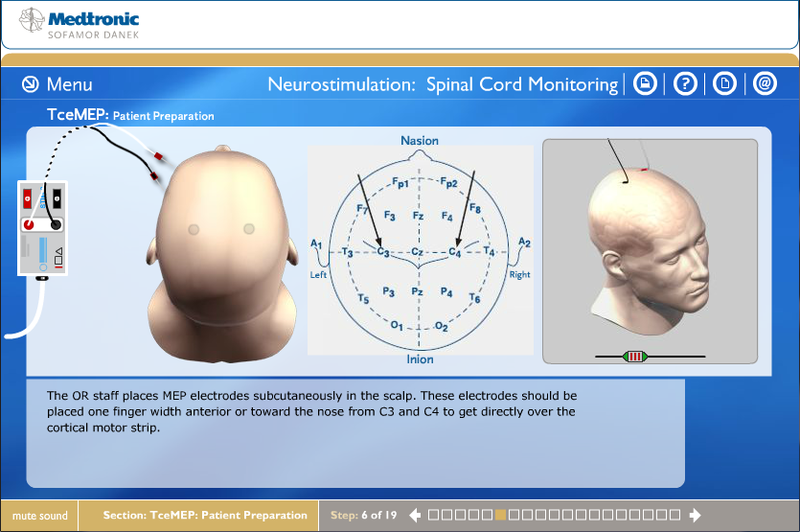 The user was walked though anatomy and electrode placement as well as the features of the system. 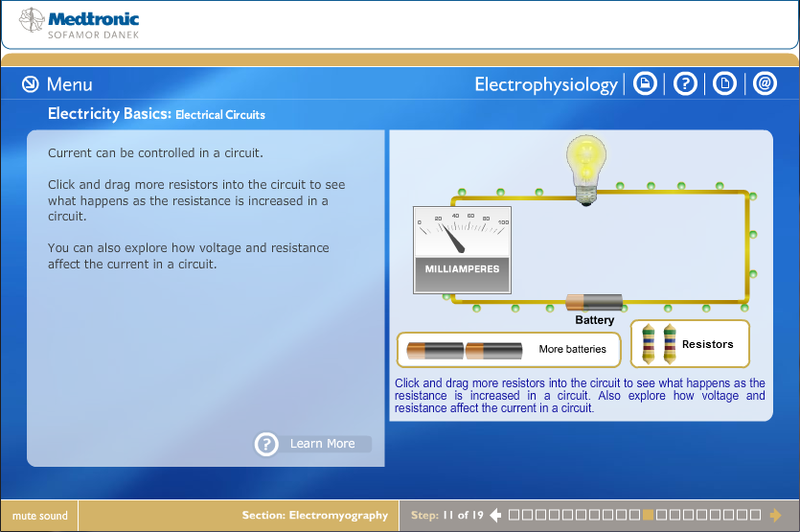 This course won a Gold Award at the 2007 MMA In-Awe Awards.